Once a rare treat enjoyed primarily by West Coast and other trendy cities fortunate enough to afford importing or growing the tasty fruit, the avocado has become the focal point of America’s most prominent dishes of today: cue the avocado toast, the guacamole and the avocado-based smoothie. Avocado, while still trendy, is no longer an elite food group; rather, it is America’s preferred method of consuming “healthy fat”, as portrayed by the featuring of avocado in Subway sandwiches, Panera bread meals, and on the menu of nearly every Southwestern and breakfast restaurant in the United States. Not to mention the fact that avocado has become the number one purchased item in many U.S. grocery stores. 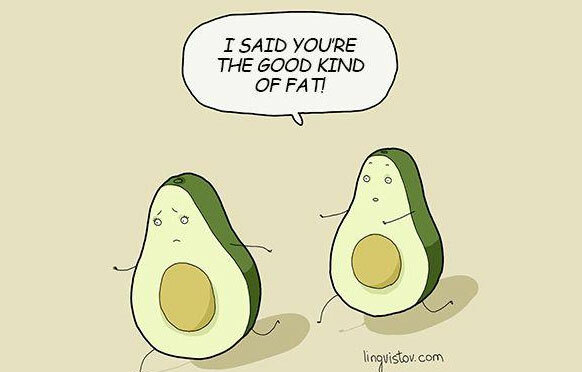 The trend of “healthy fat”, as opposed to just “fat”, has vastly increased the popularity of the beloved smooth green fruit. “We fought the health message for years and years. A fat was a fat was a fat. Now the stars have aligned.” – Mike Browne, Marketing Committee Chairman, Mexican Hass Avocado Importers Association. First, it was chocolate. Then, beef prices increased immensely. 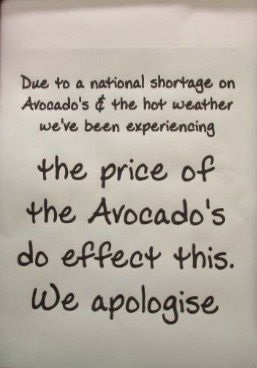 Now, climate change is threatening the existence of the avocado. The list goes on. Our crop yields are slowly, but surely, being negatively impacted by climate change, which is serving to increase prices in the short-term, but has the long-term potential of eradicating our favorite foods. The above is a picture taken three days ago of a sign prominently displayed outside of a beloved coffee shop in Arlington, Virginia called Northside Social. The reality of the matter is that no amount of “thank you for understanding” will lead to customer acceptance of sudden price hikes. California and Mexico are responsible for 40% of the entire world’s Hass avocado production (there are a few other forms of avocado, but Hass avocados are by far the most common). 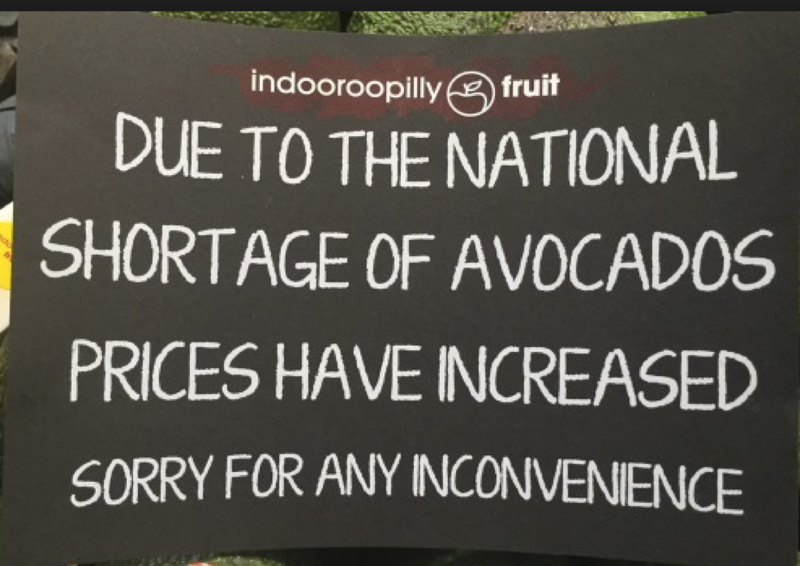 Avocado growers and pickers in Mexico have gone on strike to protest their low pay, described by The Washington Post as “the biggest disruption to avocado imports in history.” The extent of the issue is not small. Typically, 40 million pounds of avocados per week are shipped from Mexico to the U.S., a quantity that decreased to 13 million pounds just two weeks ago, according to NBC7. 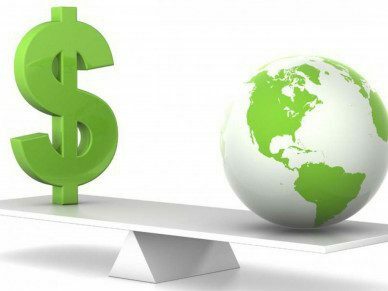 As expected, the demand-supply imbalance is causing massive price increases. Adding insult to injury is the timing of this strike: California’s avocado production season has just ended. And, California is currently 100% drought-stricken. Nobody is motivated to sell avocado at lower prices when it is unclear just how many avocados will be able to grow next year. According to Scientists from the Lawrence Livermore National Lab, hotter temperatures will cause California avocado crop yields to decline by 40% over the next couple decades. How much avocado are we actually eating? 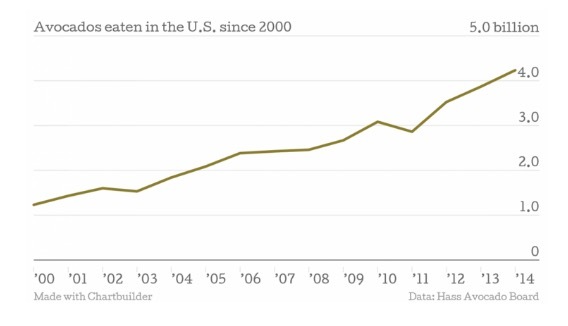 From 2002 – 2015, U.S. avocado consumption grew from 484 million pounds to over 2.1 billion pounds. Price increases are being quoted at a few different numbers, but the trend is consistent: up, up and away. Restaurant owners Engman and Lopez of San Diego’s Como Ceviche seafood restaurant reported that the same case of avocados that previously cost $40-$50 is now a $125-per-case expense. Produce wholesaler, John Vena, reported this past July that the wholesale price of one avocado (when purchased in the customary box of 48 avocados) had increased from $1.00 to $1.70. The world did not take this news lightly, and a flurry of angry tweets coerced Chipotle to publicly reassure customers that guacamole would be staying on the menu. For now. Chipotle guacamole production requires an average of 97,000 pounds of avocado daily, equating to approximately 35.4 million pounds of guacamole per year. Exacerbating the issue is the fact that Chipotle has committed to using locally grown produce (farms within 350 miles of the restaurants in which the food is served), which puts the company’s 288 California restaurant locations at severe risk. 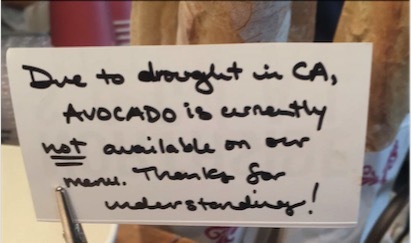 The company has mandated itself to source avocado from the very state that is running drier by the minute. The state that is eating the most avocados is also in the heaviest drought. Chipotle claims that climate change isn’t affecting its guacamole. A flurry of media articles have been published as the company attempts to keep its customers content. But what Chipotle has not yet revealed is how high its willingness to pay is in order to ensure this remains as such. Because one thing is clear – Chipotle is shelling out lots of dough (not the delicious kind) in order to keep guacamole on its menu. The drought is only getting drier. Avocado lovers: you might want to consider stocking up on avocados on your next grocery store run. UGH- where will i get all my fat from! ?